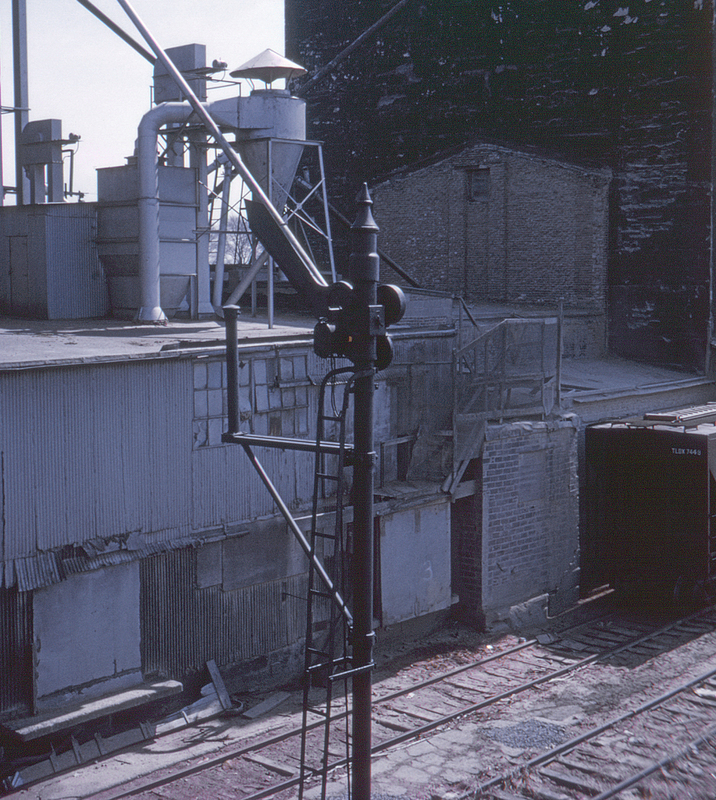 A closer look at the Buffalo Creek's distant signal for FW Tower at Buffalo, New York. Note the empty arm extending to the left; this is a "doll's arm" indicating that the signal applies to the track one over from that next to the signal mast. In many cases this arm will bear a small blue light, but as seen here this is not always the case. This view is from the Seneca Street bridge looking south.